The Book Delivery Has, uh, Delivered!!!! Our book delivery is running quite late today, 3/27. We expect to have it by this afternoon. Thanks for your patience! Tammy Harrington, a Certified Enroller, will be at the Richards Library on Thursday, April 4th and 11th from 10-11 AM. 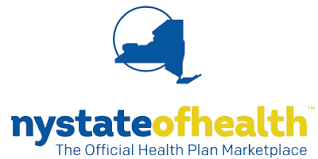 Tammy can help people understand, navigate and complete applications for health insurance on the NY State of Health Marketplace. Tammy can help with initial applications as well as re-certify current coverage, regardless of the plan someone is on or the plan they’re interested in. Call Tammy at (518) 641-4128 to set up an appointment on either date. As always, walk-ins are welcome!